Benefits of Membership What Is Camping In Ontario?Camping In Ontario is the representative body of the privately owned and operated campgrounds in Ontario. The more than 450 members are leaders in the development and promotion of camping in Ontario for the economic benefit of our province. 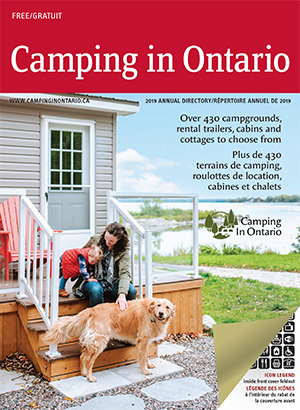 Our MissionCamping In Ontario, as a vital and active stakeholder in tourism, supports member campgrounds in the Province of Ontario by educating campground owners, marketing to the public, and advocating to government. When you join Camping In Ontario you join an interactive network. Members helping members is the core value of Camping In Ontario. As well, Camping In Ontario’s dedicated staff is always available to answer your questions. If we don’t have the answer, we will find it for you. Federal level – work with other associations on federal issues affecting the industry. Distribution at consumer shows in the United States through Anderson's Brochure Distribution program and Travel-Ad. The following cost-saving programs have been negotiated especially for our members. FREE half page ad in Snowbirds & RV Travelers Magazine for NEW members and 50% off any ad for renewing members. FREE subscription included. Hotel discounts at Great Wolf Lodge, Falls Avenue Resorts, Horseshoe Resort and the Lord Elgin Hotel. If you have any questions, please feel free to contact Camping In Ontario at 877-672-2226. So what are you waiting for? Join now and start reaping the benefits! Click here to sign up.